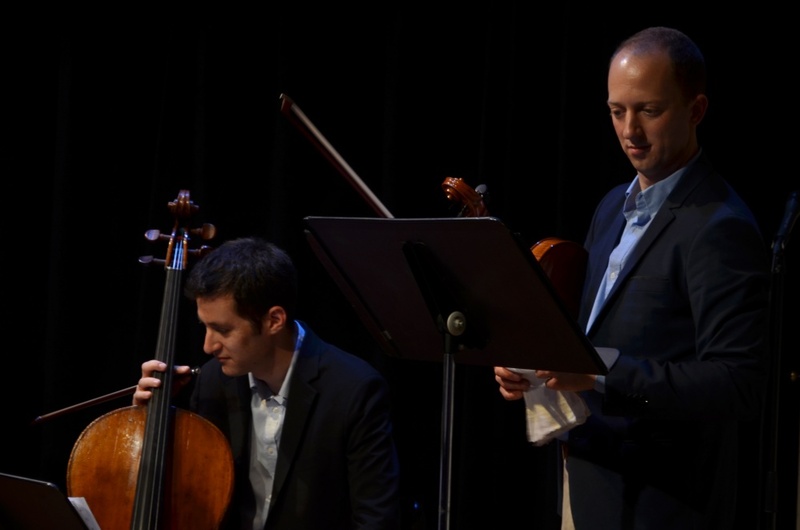 “Classically Exposed: From Carnegie Hall to the Cell” opened at The Cell this past Wednesday. There could be no greater example of synergy—the interaction or cooperation of one or more elements that produces an outcome greater than its individual components. Who cannot imagine the difference between an unaccompanied operatic aria or piano solo, as opposed to the richness of the same works performed with a full orchestra? When Charles R. Hale and Seunghee Lee (Sunny) got together to collaborate on and produce “Classically Exposed: From Carnegie Hall to the Cell” you knew the outcome would be synergetic magic. These two share a number of traits: a love of music, storytelling and a strong desire to help young artists achieve their goals. The results of their collaboration were evident throughout the evening. The program was a rich mixture of classical and contemporary music. In the first half of the program, Lee, accompanied by the Manhattan Chamber Players, beautifully presented three works for clarinet and string quartet. 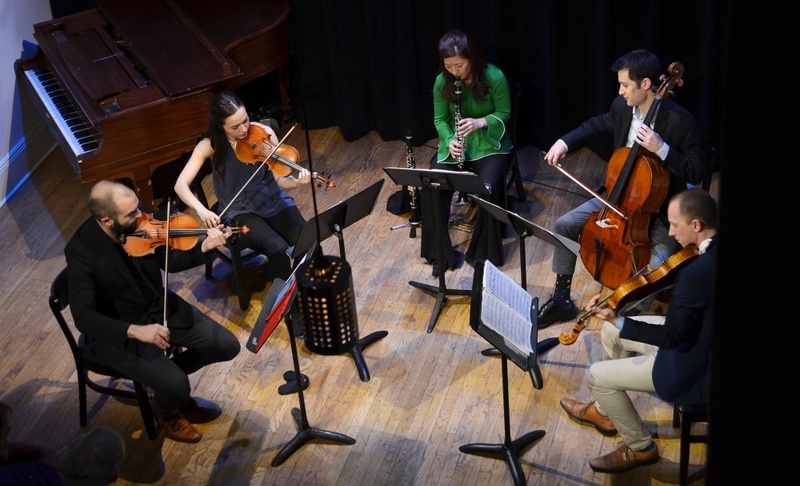 The first work performed was the first movement of Mozart’s “Quintet for Clarinet and Strings,” a historically significant work—it was Mozart’s first quintet for clarinet and string quartet. The piece debuted in 1789 and set the bar for composers to follow. The quintet played the piece with a vibrancy and vitality that I believe would have been worthy of the composer’s praise. Judging by the reaction of the SRO audience, they too would agree. The next work was Brahms’ “Quintet for Clarinet and String Quartet,” yet another classic. 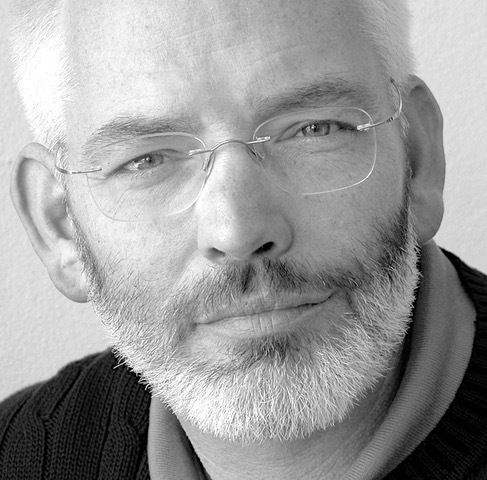 Luke Fleming, the artistic director of the Manhattan Chamber Players, gave a brief history of the piece noting that Brahms was so taken with Richard Mühlfeld’s clarinet performances, that Brahms, who was in a compositional slump at the time, was once again able to compose music. He began to focus on works for clarinet and strings. Fleming quipped that most great composers had only written chamber music for string quartets…until they heard a virtuoso clarinetist. The melodious sounds of the first movement were masterfully interlaced throughout the work by this very fine ensemble. The final piece of the first segment was the fourth movement of Weber’s “Clarinet Quintet.” Weber, known as the father of romantic opera, like Brahms, befriended a magnificent clarinet virtuoso, Heinrich Baermann and, as they say, the rest is history. The main difference between Weber’s quintet and the above pieces is that the clarinet has center stage in Weber’s work with the quintet supplying the accompaniment rather than equal roles for each. Sunny was certainly up to the task, brilliantly taking the lead required by this piece, exhibiting the full range of her abilities. All three pieces ended in a burst of spontaneous applause both, I believe, for the musicians’ virtuosic performances and the composers’ compositions. 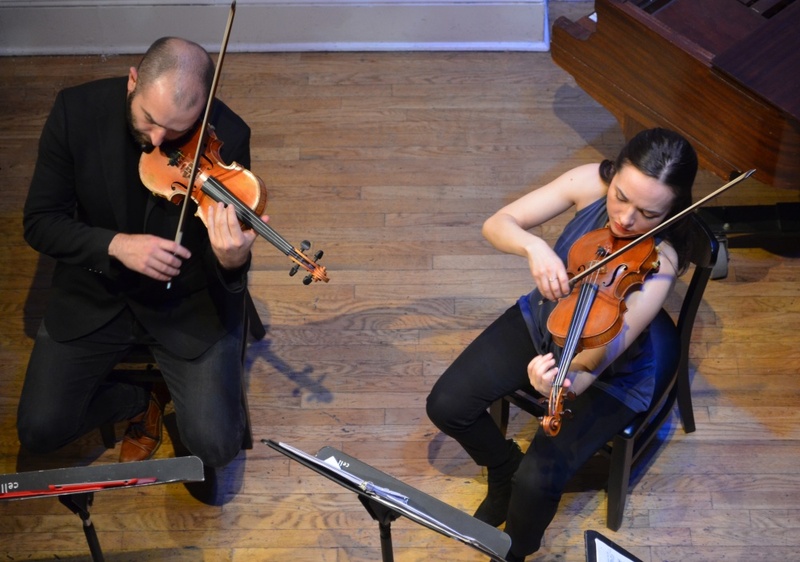 The second half of the show focused on contemporary sounds, which were performed by the Manhattan Chamber Players and Lee, as well as two additional performers, bandoneonist JP Jofre and pianist Pablo Cafici. 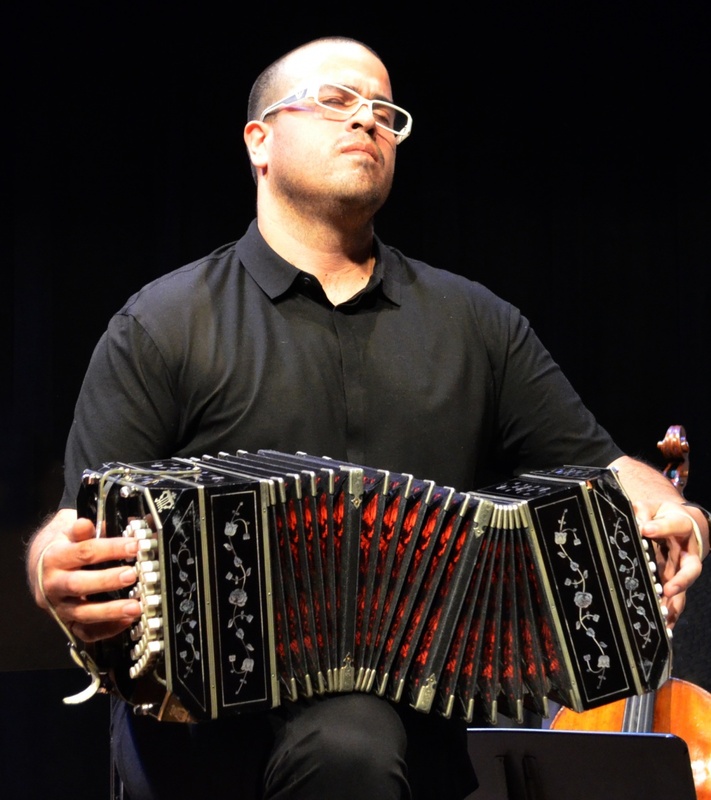 Jofre composed the first piece “Tangodromo” with a definitive tango sound, while merging traditional classical instrumentation with a Latin beat. Although adding a piano to a clarinet may not be unusual, Jofre’s new and fresh music allowed the musicians an opportunity to showcase their varied talents in a piece that was “spicy” and full of Latin flavor. Kudos to all the artists for stepping out of what might be a classical musician’s comfort zone to help create a new and exciting piece of music. The second piece, another example of musical synergy, was the first and second movements of JP’s “Double Concerto for Clarinet and Bandoneon.” Jofre and Lee stated that the work has an additional movement that they are currently writing. If the third movement is as good as the first and second, this piece is a short way from a classic. Marvelous work and a wonderful performance. The evening ended with another work composed by Jofre, “Primavera.” The work showcased modern rhythm and sounds with classical undertones. A brilliant performance. As an audience participant, I say, “Hat’s off to all for providing a wonderful, joyous evening of music.” If the opening night of “Classically Exposed: From Carnegie Hall to the Cell,” is an indication of the shows to come, last evening’s performance portends well for the series’ subscribers as well as those who can land a ticket. Looking forward to my talk “Transitions” at the Irish Business Organization of New York, this Tuesday morning, March 26, Fitzpatrick Manhattan Hotel in New York City. How can you attend? Click Here. 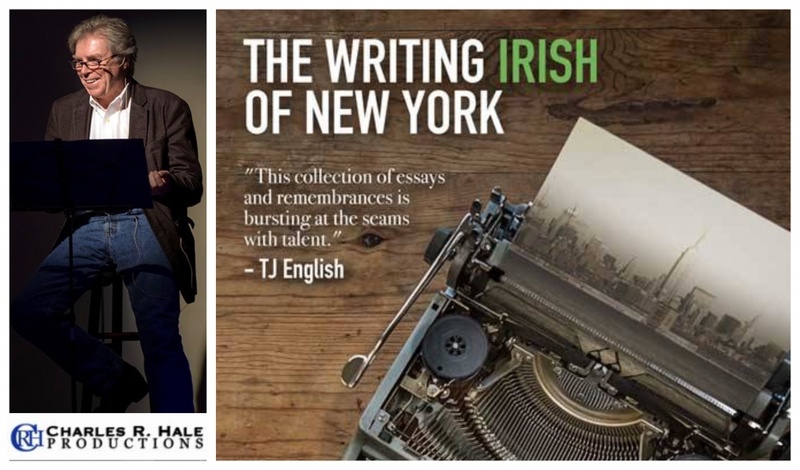 Glad to see that the “Los Angeles Review of Books” has given a very favorable review of “The Writing Irish of New York.” (Click here to see the review) And I’m doubly pleased that I received a nice mention. Why do I love New York? One of the reasons is I can go to Carnegie Hall two times in a week and hear world class violinist Anne Sophie Mutter and a few days later, a world class choral group, The Choral Scholars of University College Dublin. 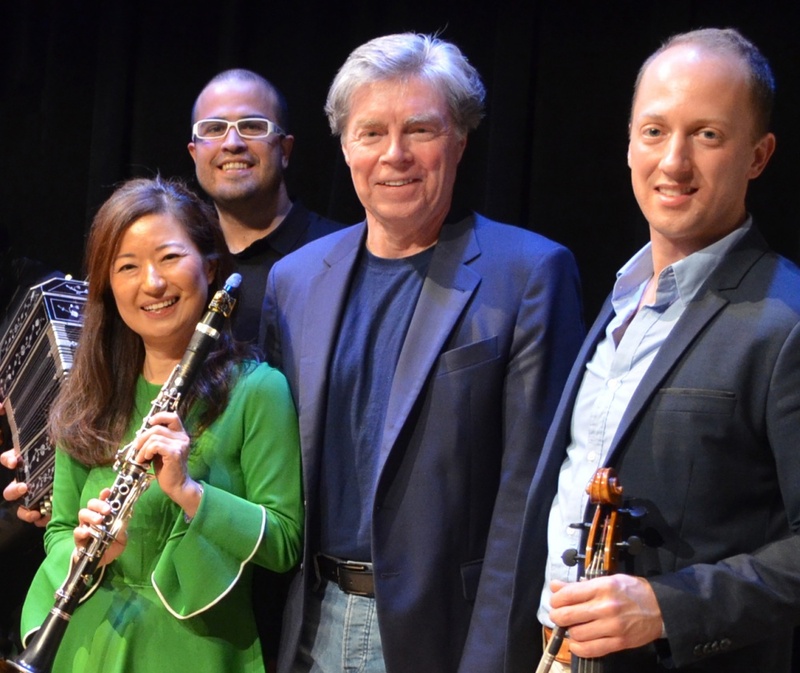 On March 27, 7:30pm, at The Cell Theatre, The Manhattan Chamber Players and Seunghee Lee (Sunny) will be presenting a sampling of a number of the masterworks written for clarinet by Mozart, Brahms, and Weber. The first half of the program will feature the first movement of the Mozart Clarinet Quintet, a movement from Brahms Clarinet Quintet and the the last movement of the virtuosic Weber Clarinet Quintet. The second half of the program will feature tango music, including the works of Piazzolla and JP Jofre. JP and Sunny will perform JP’s Double Concerto, a work that was written for clarinet and bandoneon and demonstrates the evolution of clarinet music and the instrument’s versatility. The Double Concerto was premiered last year by JP and Sunny during Sunny’s Carnegie Hall recital. 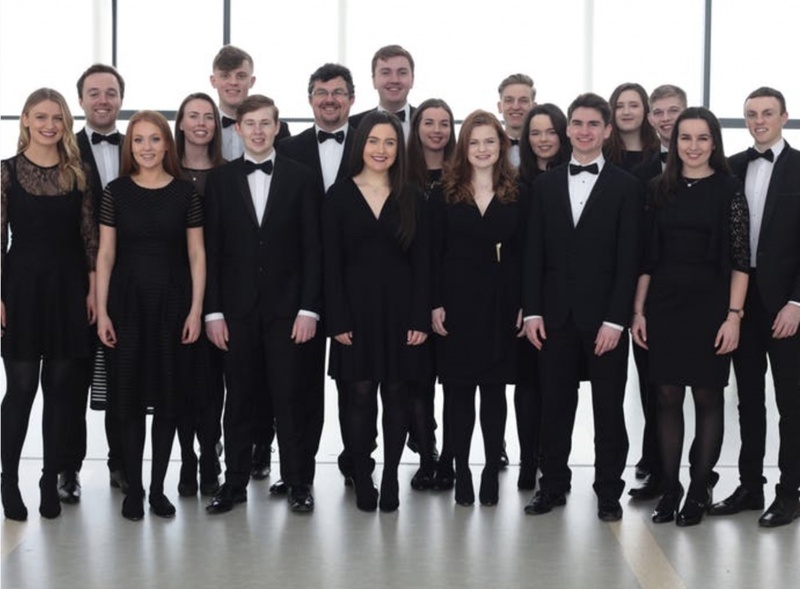 Exactly five years ago, in March of 2014 Niamh Hyland, Artists Without Walls and I presented the University College Dublin Choral Scholars at historic St Peter’s Episcopal Church in the Chelsea section of New York City. Led by Director Desmond Earley, the Choral Scholars performed a program entitled Songs of Farewell: Sailing Away. Beginning with Rachmaninoff’s “All Night Vigil,” followed by traditional and contemporary music, the Choral Scholars captivated the audience with their brilliant sound. What a fabulous day at 650Read’s “Outta Ireland” event, which was part of Carnegie Hall’s “Migrations” series. 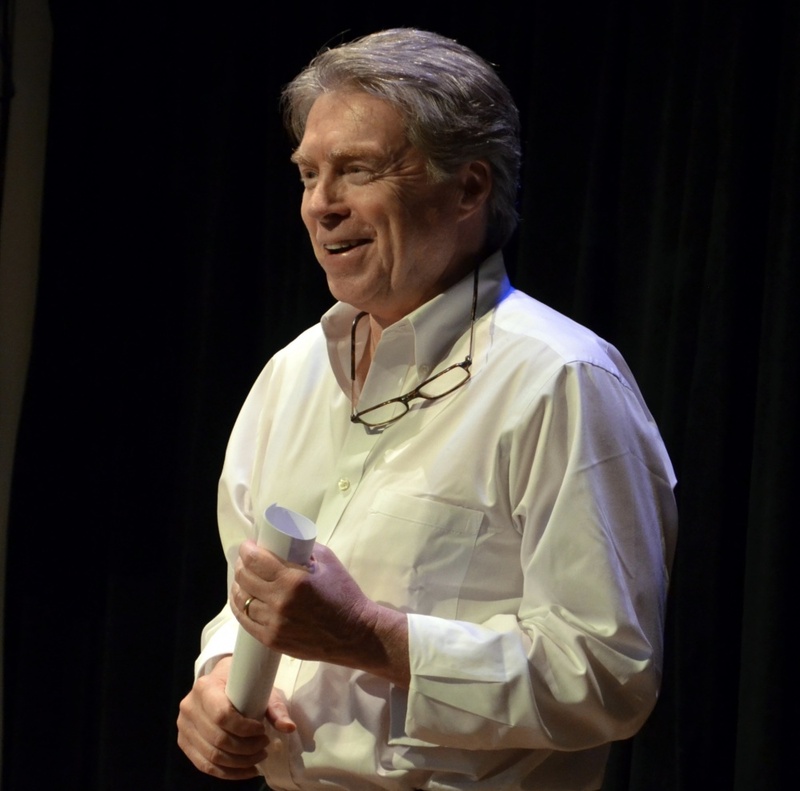 Ed McCann, 650’s founder, emceed the event, which included a number of great readers and writers, among them my friends Jack O’Connell, Colin Broderick, Malachy McCourt and Maura Mulligan. 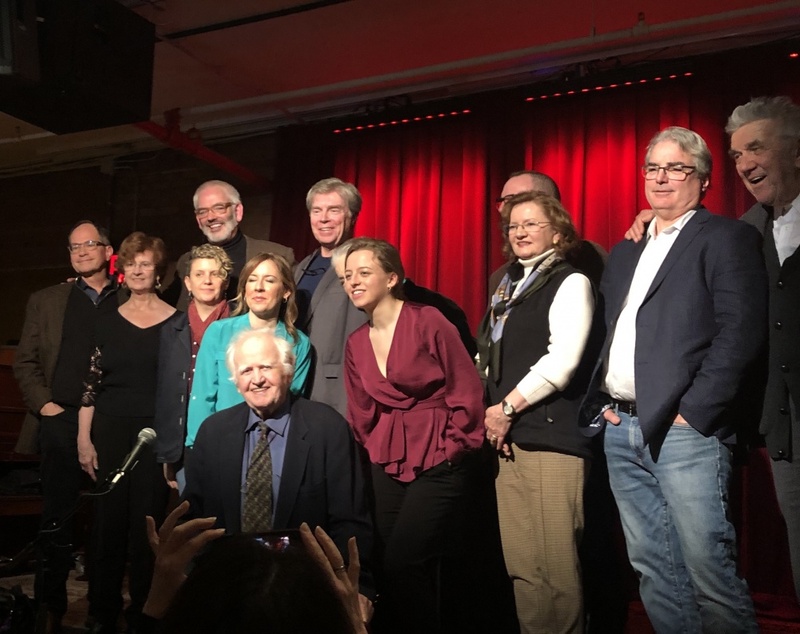 Click here for a nice article in this week’s Irish Echo about Sunday’s “650” event at the City Winery, part of Carnegie Hall’s “Migrations” series. Grammy® Nominated New York based musician Nicole Zuraitis blends clever songwriting skills, an effervescent presence and dazzling vocals in a consummate package that has thrilled audiences across Manhattan and across the world. If you happened upon Greenwich Village’s 55 Bar recently and were enchanted by the seismic versatile talent of inspired vocalist, keyboard player and songwriter Nicole Zuraitis, you’re officially part of the lady-powerhouse burgeoning fan club.You can hear the Nicole Zuraitis Quartet at Lehman College, in the Lovinger Theatre, on March 14, 12:30pm…and it’s a free event sponsored by Lehman’s “City and Humanities Program” and Professor Joseph McElligott.